Rebranded Senior Solutions in September 2013, being previously known as Westhoughton Visiting Service, the name change has been planned and implemented to reflect not only the broader nature of services offered but also the wider geographic coverage of the service beyond Westhoughton. With this change there is a new logo, literature, uniform and website. 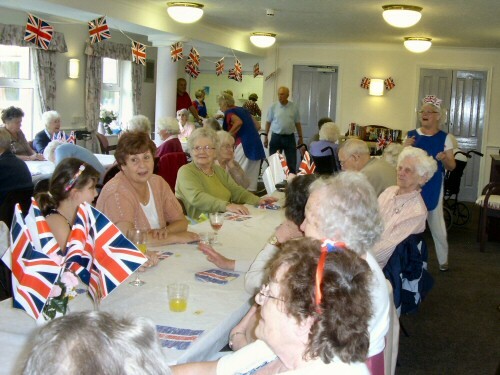 The charity was set up in 1997 by Phil Mason, who brought in Jean Jones, who managed the service until 2015, its aim to combat isolation amongst older people (age 55 and above), and over the years has expanded from Westhoughton to also cover surrounding districts such as Over Hulton and Blackrod. We currently serve some 150 members and have about 80 volunteers with 2 staff; and as well as offering a visiting service, we hold 2 Luncheon Clubs and an Activity Group. We make about 60 visits per week. Our volunteers are supported by the Scheme Manager, Michelle Todd and Assistant Co-ordinator, Julie Loughran, who hold regular volunteer meetings where we share ideas to give our volunteers a voice. 2015 was a big year for Senior Solutions with it moving into the refurbished Winifred Kettle Centre - a Health Centre for Westhoughton integrating and providing important services for the local community. In January 2017 an important milestone was reached with the group celebrating its 20th anniversary with a number of events, whilst continuing to provide and indispensable service. We are a registered charity funded partly by Bolton Social Services and Lloyds TSB Foundation. We apply for grant funding and are grateful for donations to help both provide the service but expand our activities and projects - for example, with health and fitness in mind, we now do occasional organised local walks, not too strenuous but good fun! Funding we obtain is also used to support the carers themselves. The team are currently looking at 'Telephone Befriending Service' to launch in 2018. Senior Solutions has a committed Board of Trustees, The Reverend Chris Bracegirdle took over as Chair in 2015; Annual General Meetings are held in the autumn - this year's held on Tuesday 2nd October (2pm) at Sacred Heart Church, Lord Street, Westhoughton. Three items of note: Senior Solutions transitioned to become a 'Charitable Incorporated Organisation' (CIO) with a new Registered Charity Number; the new 'Telephone Befriending Service' was launched, and Senior Solutions has been nominated for a 'Queen's Award for Voluntary Service' (pending). As people grow old they can become socially isolated and lonely for a variety of reasons. 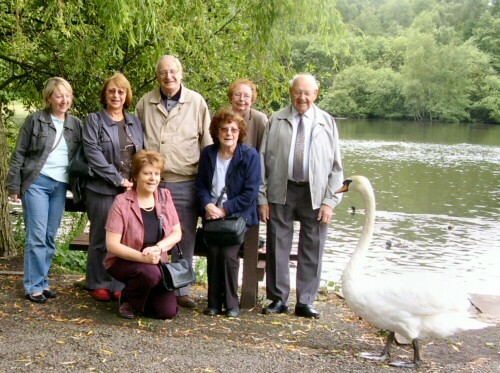 We offer a visiting service that offers friendship, companionship and support to a growing number of older people who can benefit by feeling respected, valued and involved in their own community. Our service is free, confidential and professional (voluntary does not mean amateur) and we pride ourselves on our successes. We are conscious too of the many benefits to be enjoyed by becoming a volunteer. We recognise that isolation might not necessarily mean living alone, therefore a 'Sitting In Service' is also offered, offering respite from the caring responsibilities to the Carer of an older person with special needs. In addition to our general Visiting/Sitting-in Service, there is a Tuesday afternoon Activity Group, open to clients, carers and volunteers will take place at Sacred Heart Church. Our two well-established luncheon clubs, where we prepare and serve a hot cooked meal on Mondays at Thurstons and Thursdays at Ryeland Court for any older person who feels socially isolated. We provide some 80 meals per week. We ask older people to contact us for availability and we are happy to arrange transport for those who are unable through age and frailty to arrange their own. Meeting on a Tuesday afternoon between 1:15 and 3:15pm at Sacred Heart Church, Lord Street, Westhoughton (BL5 3SE), in early 2016 a new 'social group' was set up offering a bit of company, social interaction, arts and crafts, some fun, and entertainment for Senior Solutions elderly clients and their carers. 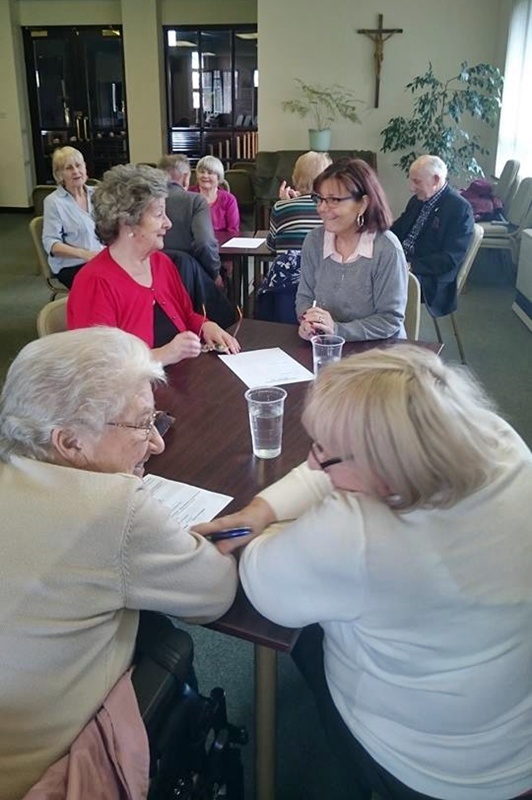 A popular session that is well-supported, it is an initiative to combat social isolation, offering a couple of hours of chat, board games, quizzes and fun activities; a couple of times a month there are guest speakers and workshops of interest to the group. Occasionally we will have entertainment. Every 2nd Tuesday of the month Zoe Hill, an Outreach Worker for Tonge Moor-based Bolton Carer Support attends the Group to offer expert advice, support, guidance for Carers. There from 1:45pm for an hour, this drop-in offers face-to-face, private support for all clients and Carers (whatever their age or caring role). In 2018, in response to growing demand, two new classes have started: a weekly Chair-Based Exercise Class (12:30 to 1:15pm), and for anyone who enjoys any form of needlework, a Weekly 'Knit-2-Gether' (1:30 to 3:30pm). Both classes cost £2.00 and include refreshments. Our service could not operate without the commitment and kindness for others that our volunteers show. Some give 1 hour per week to our service and some volunteers give 15 hours per week. They make a huge difference to older people in our community, and all volunteers undergo an induction training session before they are allowed to visit. Every volunteer is required to provide 2 references and have a Disclosure & Barring Service check (formerly CRB) for the safety of our clients - we can help volunteers with this. Our volunteers are good listeners, open minded, with a genuine desire to help older people. Volunteering builds self-confidence, and for those who are looking to have a career in the Care Sector can be a valuable tool in finding employment in the sector. We provide volunteers with expenses (if incurred), support and training, monthly contact meetings and monthly social get-togethers. As a volunteer you will have the opportunity to develop social skills, make new friends and have social interaction with older people and like minded others who care about the local community. Senior Solutions has been looking to fill a brand new post to join the team and support its important work in the community in Westhoughton and surrounding areas. An interesting and varied role within a well-respected organisation. With funding from the 'Health and Wellbeing Investment Fund', this is a temporary 12-month post of 15 hours per week (actual salary £7,410). Job Advert | Job Description | Person Specification. Role subject to Disclosure and Barring Service (DBS) check. Apply with CV and covering letter indicating how you satisfy the criteria detailed in the person specification. Closing date Monday, 11th February (5pm); interviews Monday, 18th February. 'Time For You' is a new project working in partnership with Bolton Carer Support, Mhist, Band, and Age UK to deliver a borough-wide befriending service to Carers and their cared for. Already delivering this service on a smaller scale, Senior Solutions will be working closely with lead partners, Bolton Carer Support. Senior Solutions has been awarded a grant of £10,000 from the 'Health and Wellbeing Investment Fund', this will allow the creation of a new job position to support the project (see above). Senior Solutions has been nominated for a Queens Award in Volunteering, which is equivalent to an MBE in the Voluntary Sector. The award recognises exceptional service to the community over a long period. 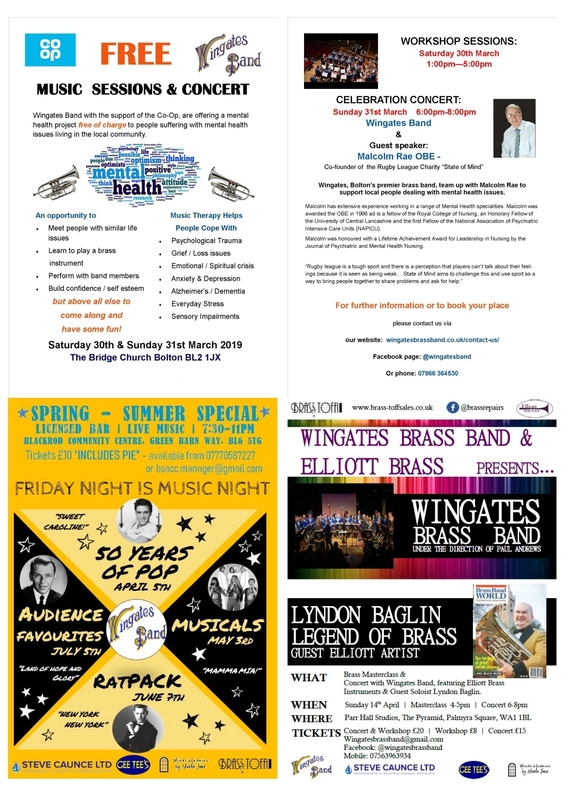 The nomination has been supported by Westhoughton Community Network. Vetting and assessment is under way. In order to plan and manage operations, fundraising and general strategy, Senior Solutions needs good people with an interest in caring for older people, some experience of the voluntary sector and useful skills, volunteers who can be part of and strengthen the management team. The Board meets three to four times a year, and provides important support and guidance for day-to-day operations. Enquiries are always welcome - feel free to contact us or call for an informal chat about our Trustee roles. In 2015, Senior Solutions became involved in an initiative aimed at the over-60s promoting health and well-being through physical activity and health awareness. Funded by 'Awards for All', a programme was put together by Bolton Wanderers Community Trust offering a series of 3 x 12 week blocks of 2-hour workshops (general health and I.T. 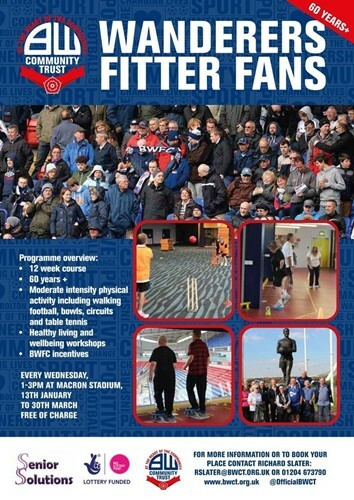 awareness) with light physical exercise, held at the Macron Stadium (Bolton Wanderers). The first Wednesday sessions ran from the 30th September to 16th December; the second ran from 13th January to 30th March 2016, a third course ran from 27th April to 13th July. 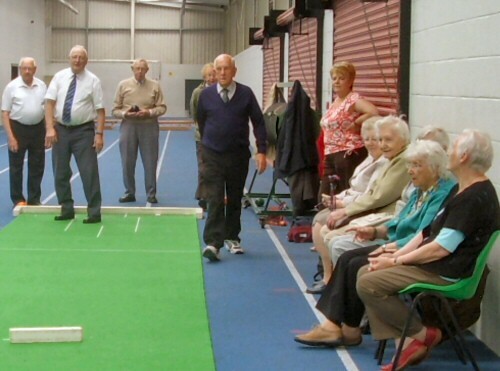 Targeting over 60 year olds, the free twelve-week programme will offer the opportunity to take part in light physical activities such as walking football, table tennis, circuit training and badminton. The programme also includes workshops on healthy living and well-being - examples being emergency lifesaving skills, importance of exercise and diet and nutrition - Flyer. Further information: call Richard Slater on 01204 673790 or e-mail or visit Bolton Wanderers Community Trust website. In late 2014, in partnership with Age UK Bolton and funded by the Clinical Commissioning Group (CCG), took part in a pilot project 'Home From Hospital.' Separate from our existing service, but a good fit with our skills, values and objectives. The service designed to keep elderly, discharged people out of hospital whilst they get used to being back home during the all-important first few weeks, and so help prevent unnecessary re-admission to hospital, with referrals for people who are 65+, live in the Borough of Bolton and need support on discharge from hospital to help them recover. With contact maintained for a 6 week period, the aim to re-able the patient back to a normal life and encourage them to take part in community activities. Volunteers visit people in their homes to ensure that they are warm and comfortable, have the basic foods they need and their prescriptions are collected. They are helped to tackle any backlog of mail that may have accumulated and encouraged to do their physiotherapy exercises. They are offered a listening ear and given emotional support at a difficult time. Taking on a new co-ordinator and new volunteers, Senior Solutions dealt with discharged patients in the area covered by our normal visiting service. The pilot scheme over, our participation helped feed into the evaluation of the scheme to be developed and rolled out at a future point. If you would like to come along and have a chat about volunteering or, alternatively, if you feel you would benefit or know of someone who would benefit from any of our services, please do not hesitate to get in touch. For our visiting service, you can refer yourself. Note: Social Workers, GPs, District Nurses, Community Psychiatric Nurses or the person's own family can refer people but only with their permission. Please do not hesitate to contact us for further information or help. After being based at the Community Learning Centre for many years, in summer 2016 Senior Solutions relocated its main office to newly refurbished facilities at the Bolton Council run Winifred Kettle Centre, in doing so becoming a more integrated part of local community support services.